our every movement is registered by the motion controller's advanced motionsensors and the PlayStationEye USB Camera. 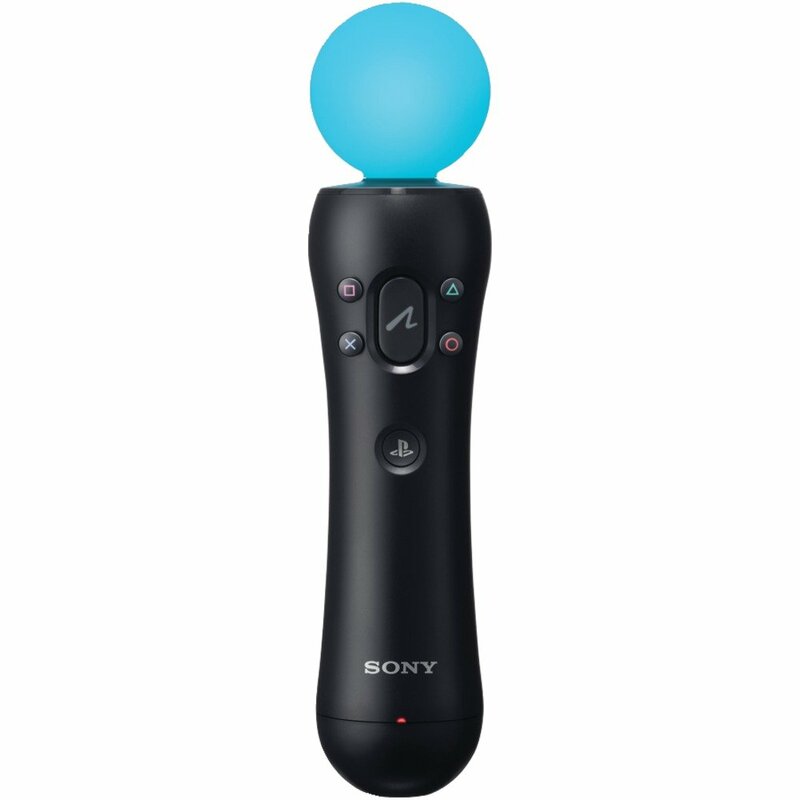 Become the star of a PlayStationMove title and use the motion controller as ablade to slay foes, a bat to hit the winning home run, or a brush to groomyour fluffy pet. The motion controller's color changing sphere and built-in vibration feedbackreact to your actions and movements to create engaging experiences that arenot only reflected on-screen, but also delivered directly to the palm of yourhand. Watch as your sphere lights up when you cast the correct spell or mix theperfect paint color. Feel the timer run out or the recoil of your smoking gun. Expand your gaming abilities even further by using two motion controllers totrack movement with both hands. Punch and jab in the boxing ring, block andattack in the gladiator arena, or draw your arrow and release in an archerytournament. There are so many possibilities when actions from both controllers are beingtracked. There's a fun and exciting experience for everyone. So get moving with thesleek, wireless PlayStationMove motion controller. PlayStationMove motion controller works with PlayStationEye USB Camera toaccurately track player position.